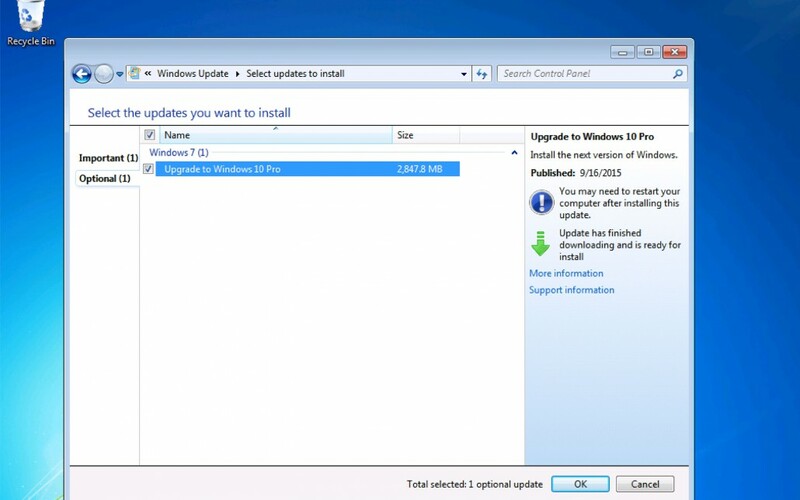 You are here: Home / Blog / Medium Technical / Are you being ‘Forced’ to upgrade to Windows 10? 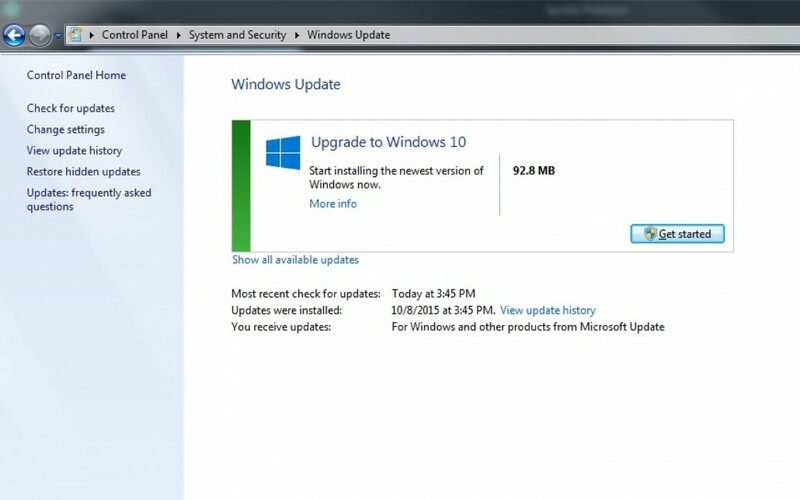 Are you being ‘Forced’ to upgrade to Windows 10? It seems that the people at Microsoft are hell bent on having their newest version of OS on as many computers as possible. Don’t get me wrong, I am sure that the new Windows 10 software will be a hit in due time. Already there are many people using Windows 10 that are singing their praises and are enjoying the new look and feel of the OS. However, let me point out that far and wide these are individual users and not the normal office environment. The business world is not the place to make hasty upgrades in software when we really do not know how compatible the OS will be with other client specific software and hardware. Now the latest series of updates by Microsoft has been to send out that will automatically upgrade your PC to Windows 10. I hope you are reading this. Let me say it again. The latest batch of updates sent out by Microsoft will automatically update your PC to Windows 10! If you noticed in the above image, the Upgrade to Windows 10 option is already preselected for you. How convenient for Microsoft. How many of us read all of the screens and really pay attention to what the software is asking to install. We generally just click the ‘Next’ button so we can get through everything as quickly as possible. The action by Microsoft seems to have been corrected with the October 15th installment of updates, but the damage may have already been done for many. The only thing saving you was the fact that you had to click on the ‘Get Started’ notification in order for the process to continue. Microsoft makes this sound like it was a very recent mistake. InfoWorld’s Woody Leonhard has created an in-depth report that claims Microsoft’s argument doesn’t hold water. He claims to have a screenshot taken before October 9th of this year where the tick box was already selected for you. Naturally a Microsoft spokesperson may dispute the findings of Mr. Leonhard making it his word against theirs, but Microsoft’s track record – which does include downloading Windows 10 onto computers even when a user states they do not want the upgrade, which is still ongoing by the way, – significantly damages Microsoft’s integrity. Maybe you have already been upgraded to Windows 10 and regret it. Maybe you are unsure if your computer can handle the software upgrade. You probably have a lot of questions. Call us at Your Computer Solutions to see how we can help you. Our office number is 407 826-0810.
https://yourcomputersolutions.net/wp-content/uploads/2015/10/forced-update.png 299 788 Brian Smith https://yourcomputersolutions.net/wp-content/uploads/2015/01/logo-test4-300x138.png Brian Smith2015-10-16 18:44:222018-05-20 16:11:38Are you being ‘Forced’ to upgrade to Windows 10?